Arrive At Bangalore Airport/Railway Station and Transferred to hotel Check in the hotel and relax for some time. Rest of the day is at leisure for your individual activities.Overnight stay at the hotel. After Breakfast proceed to full day sightseeing of Bangalore which include Vidhan Sabha, Lal Bagh Botanical Garden, Tipu’s Palace and Bangalore Palace.After sightseeing these places back to the hotel.Evening is at leisure for your own activities.Overnight stay at the hotel. After Breakfast check out the hotel and transferred to Mysore.On arrival check in the hotel and relax for some time. 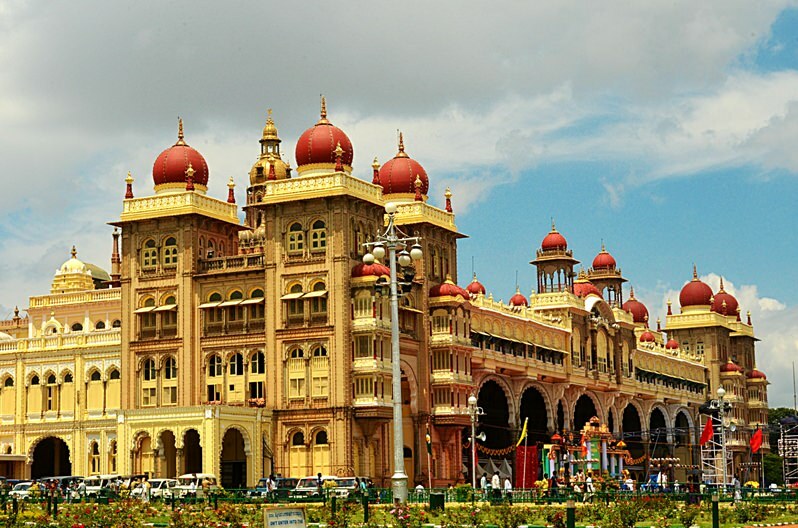 Later proceed to half day sightseeing of Mysore visit Mysore Palace the most famous palace of india, Brindavan Garden and Multipurpose Dam.In evening back to the hotel.Overnight stay at the hotel. After Breakfast check out the hotel and transferred to Hassan.On arrival check in the hotel and relax for some time. Later visit Chennakeshava Temple for darshan. In evening back to the hotel.Overnight stay at the hotel. After Breakfast check out the hotel and transferred to Hospot.On arrival check in the hotel and relax for some time. Rest of the day is at leisure.Overnight stay at the hotel. After Breakfast full day is at leisue for your individual activities and you can also explore the famous monuments of Hampi. These are the remnants of the erstwhile Vijayanagara Empire.In evening back to the hotel.Overnight stay at the hotel. After Breakfast check out the hotel and proceed to Bangalore Airport/Railway Station to board a flight or train for your onwards journey. Accommodation in hotels for 06 nights on Bed and Breakfast basis. Entrance fee wherever applicable as per above itinerary.